All SUNGLO homes currently listed for sale in San Antonio as of 04/24/2019 are shown below. You can change the search criteria at any time by pressing the 'Change Search' button below. "THIS IS A TO BE BUILT HOME. 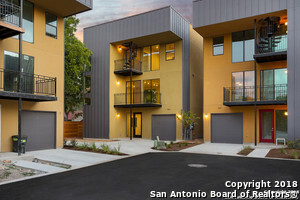 THREE STORY ULTRA MODERN HOME, WITH ROOF TOP TERRACE IN SOUTHTOWN SAN ANTONIO! HOME WILL FEATURE DUAL MASTERS, OPEN FLOOR PLAN AND VERY MODERN TOUCHES. CONCRETE FLOOR, MODERN LIGHT FIXTURES, AND TONS OF WINDOWS!! RELAX ON THE ROOFTOP TERRACE AND SEE THE DOWNTOWN SKYLINE. HOMES ARE LOCATED NEAR LAVACA AND KING WILLIAM!" "THREE STORY ULTRA MODERN HOME, WITH ROOF TOP TERRACE IN SOUTHTOWN SAN ANTONIO! HOME WILL FEATURE DUAL MASTERS, OPEN FLOOR PLAN AND VERY MODERN TOUCHES. CONCRETE FLOOR, MODERN LIGHT FIXTURES, AND TONS OF WINDOWS!! RELAX ON THE ROOFTOP TERRACE AND SEE THE DOWNTOWN SKYLINE. HOMES ARE LOCATED NEAR LAVACA AND KING WILLIAM!"